Springform pans are heaven-sent blessings by the Goddess of Cakes. Baking cakes with normal pans can be a stressful experience. I, personally, can’t even count the amount of times using a normal pan has ruined my cake before even getting the chance to enjoy it. And springform pans are godsent because of its one certain feature that makes baking a piece of cake. No pun intended. A springform pan is a type of bakeware that has removable sides from the base. That said, there are various types and kinds of springform pans out there. With this guide, allow me to walk you through the best five ones. Feel free to use the links to jump to a specific section of the post. There will also be links at the end of each section to quickly scroll back to the top of the post. 1. ﻿﻿Springform Pan, MCIRCO 7"
This 7 inch pan is made out of a heavy durable gauge construction, perfect for an effortless release and for instant pot pressure cooker. It also has a heat-resistant temperature of 445℉ (230℃). It is BPA free and has non-stick red coating and finish. Moreover, its spring latch offers a tight seal that is leak-proof which makes baking a piece of cake with no leakages and easy clean up. This 9 inch pan is not just excellent because of its generous size but because of its silicone sides that can be effortlessly peeled off and removed off the cake in a rapid motion. It also has an attractive tempered glass bottom which makes it ideal for automatic serving and lets you not worry anymore about having to transfer it to a different platter. Moreover, the silicone ring does not stain and nor does it retain odor that may potentially ruin your cake. It has a heat resistant to 450℉ (230℃) meaning it can withstand a high temperature. 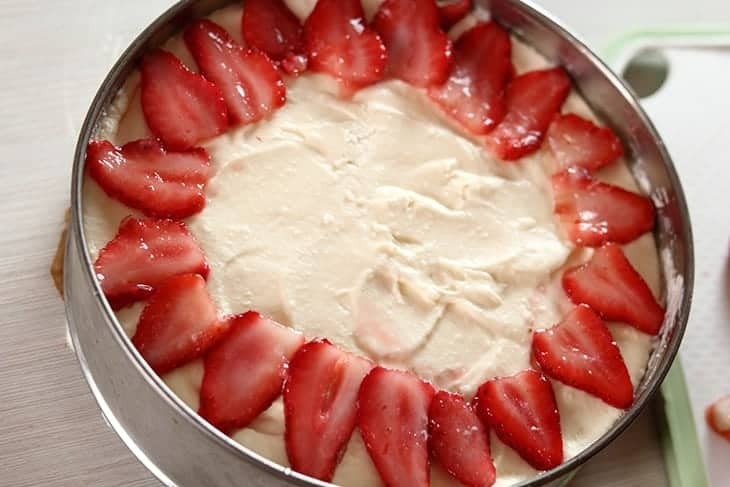 This 7 inch springform pan comes with a 4 cup pan which makes it ideal for cheesecakes and other pastries or desserts. It has an effortless and easy locking system which gives you an easy release designed springform pan. It is made out of a non-stick coating and a leak-resistant structure. With the Nordic Ware Bundt Fancy Springform Pan, you get two pans in one. The Nordic Ware Fancy Springform Pan offers two beneficial features. This set comes with a flat bottom but also a Bundt tube insert with a molded flutings and an empty center. 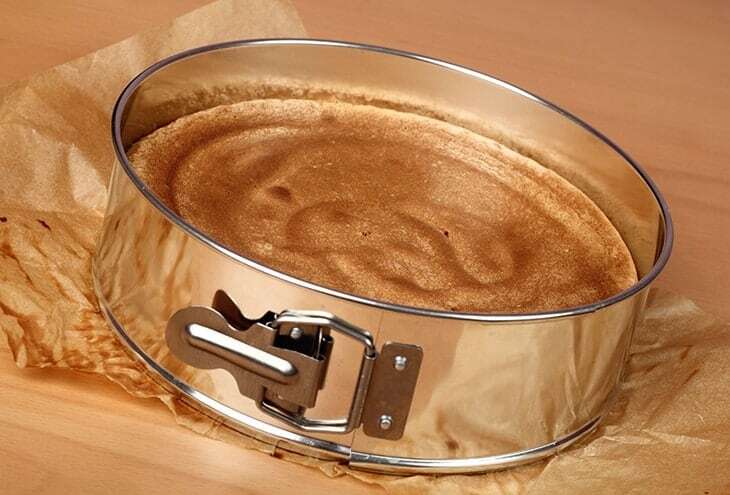 This 9-inch springform is definitely equipped for baking torte and cheesecake for it has a non-stick coating and is leak proof. Moreover, it is made of aluminum steel that resistant against rust and is warp. Most springform pans come in monotone colors - black or gray, usually. However, this Wilberry Springform set come in various colors. Since this set come in 3 pans, it also comes in 3 colors, vibrant orange, green and purple. This generous Springform set contains two round pans, one is 7 inch and the other is 10 inch. The third pan is in the shape of heart and is in the size of 9 inch. What’s more is that it’s made of high quality steel. Its commercial grade steel is perfect for it is leak-resistant. No more messy leakages. Baking cakes and pastries is requires effort, time and hard work. Putting in your heart into making a pastry makes a baking a sort of intimidate experience. Whether you are just starting out as a beginner or an expert, it is essential that you are equipped with the right materials that will make your baking experience a piece of cake. 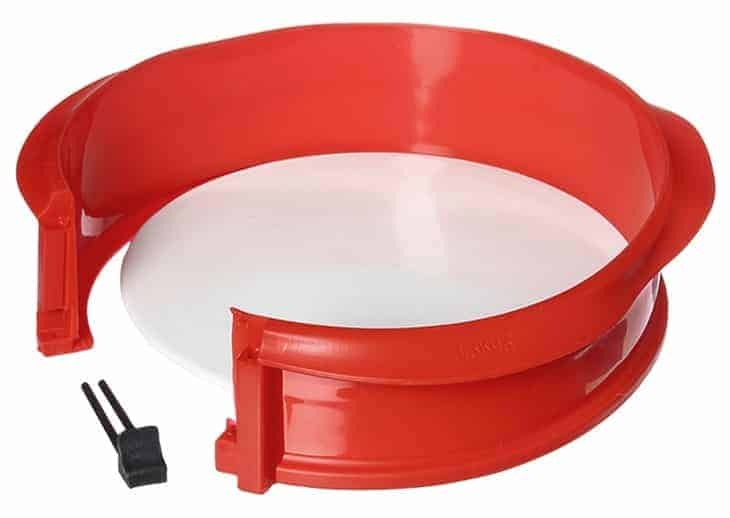 That said, springform pans with its removable base, flexible metal ribbon rim, and latch clasp is the most ideal instrument you can use in baking. But before buying one, there are, of course, certain factors you have to carefully consider and deliberate on. 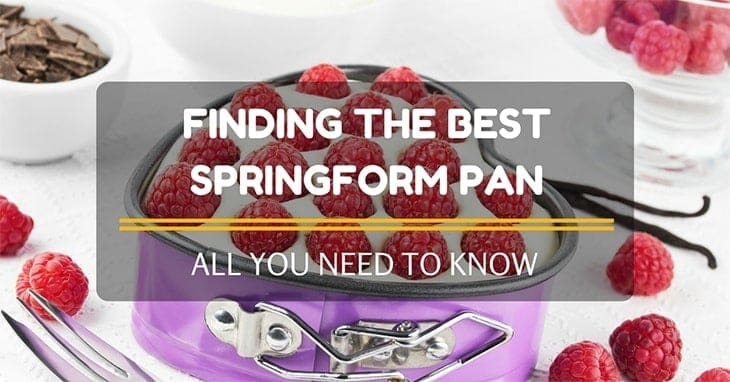 Best springform pan – best reviews and top picks! Who is ready to do some #baking? 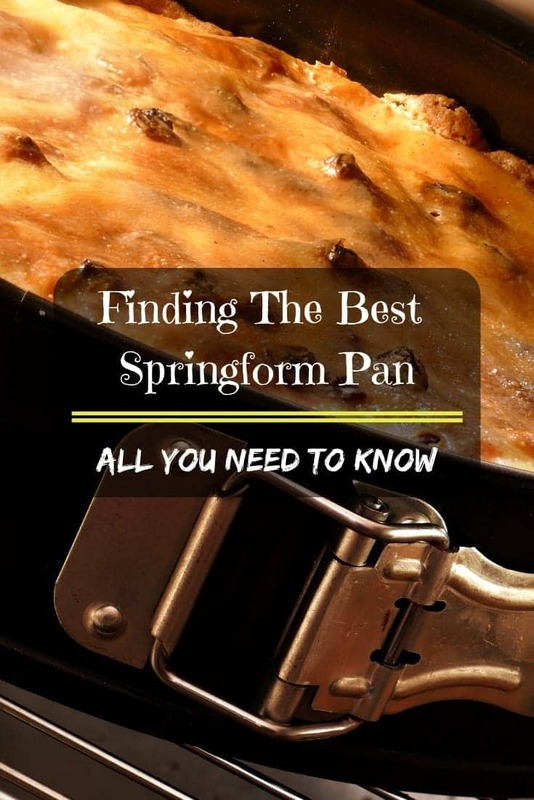 Springform pans can be classified according to whether it is light or dark colored. Each ha its own and respective benefit. They both will affect the end result of your cake and yes, even your baking time. 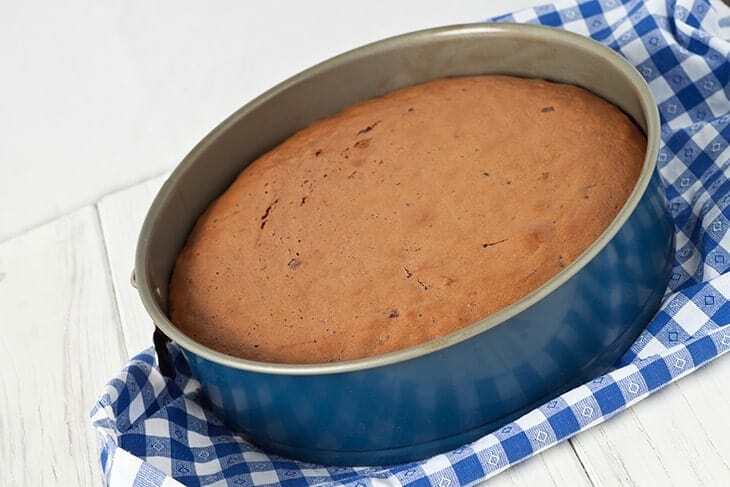 On one hand, dark colored pans absorb heat meaning it will take less time to have your cake made making it a perfect fit for pastries that need to be baked quickly. Light colored pans, on the other hand, reflects heat meaning you are going to have to allot more time to baking your pastry. This is ideal for pastries that require more time or the slow bakers. Springform baking pans can also come into two classifications based on the structure of their base. Metallic springform pans are the most common type of pans. 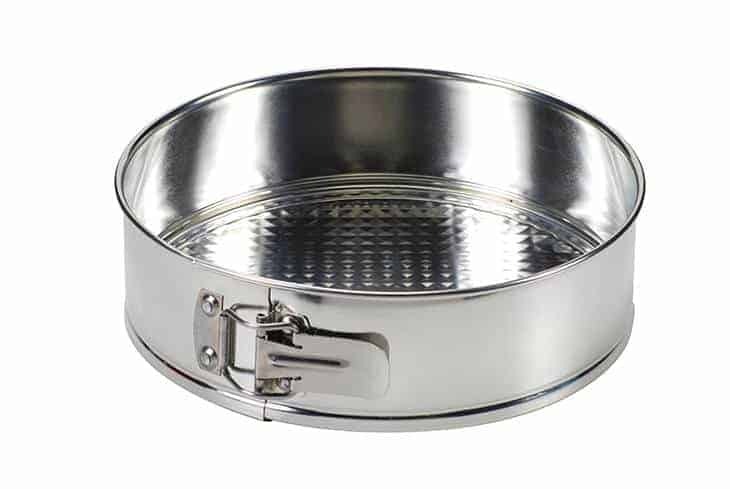 Metal or metallic pans has the full capability to withstand high temperature. However, it can include numerous drawbacks. Metal pans are more prone and vulnerable to scratches when exposed to sharp objects nor does it get marred when cake is being cut. Glass pans, however, doesn’t give off metallic taste. You don’t have to worry about their heat resistance because they’re made of a special type of glass that will not break even when exposed to a high temperature. For this reason, glass pans are more ideal than metal ones. Silicone pans expand the versatility and possibilities of the use of springform pans. The base to sidewall seams of silicone pans are definitely much more tighter than the normal metallic ones. For this reason, it is leak-proof and gives you more chance and opportunity to bake runny batters such as pudding in a springform pan. Moreover, silicon pans can be easily removed. You just have to peel the ring off the cake. It can also disassemble easily for compact storage. My first ever recommendation whenever I talk about cooking pans or baking pans is to always go with the ones with non-stick coating or finish. If your pastry sticks to the base or the ring, it can potentially ruin the design or the overall structure of the cake. Case in point: when the filling of your cake sticks to the surface of your pan, you will still be able to remove the side of your pans. This is one of the essentials that a springform pan has to be. If your springform pan has a risk of causing leakage, your batter will not just leak but will also leave you with more mess to clean up. The sides of your springform pans have to be tight enough. Your preference of size will of course depend on what you need or how big you want your cake or pastry to be. A bigger pan will be able to accommodate and fit more batter but it is also going to take up more space in your cabinet or storage. There numerous sizes available with the common ones ranging from 7-9 inch. Different pans have different heat resistances. This will depend on the pan’s durability. 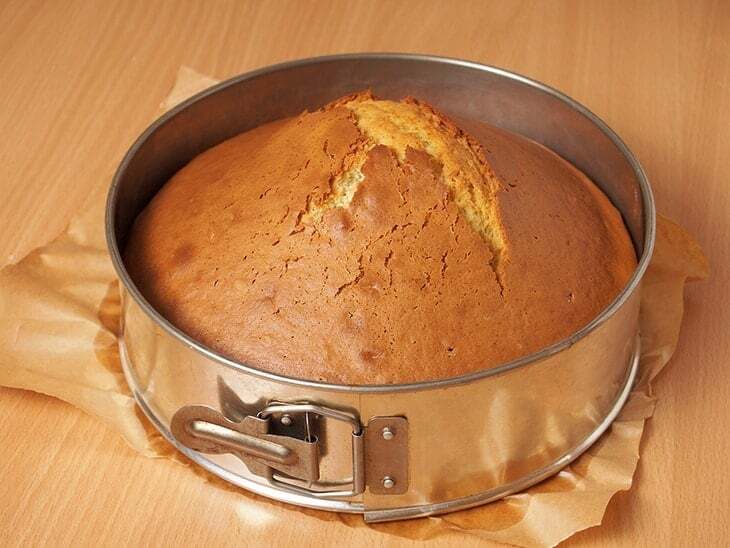 Make sure that you springform pan is made out of oven-safe materials and can withstand a high temperature of heat. This is also called the lock. 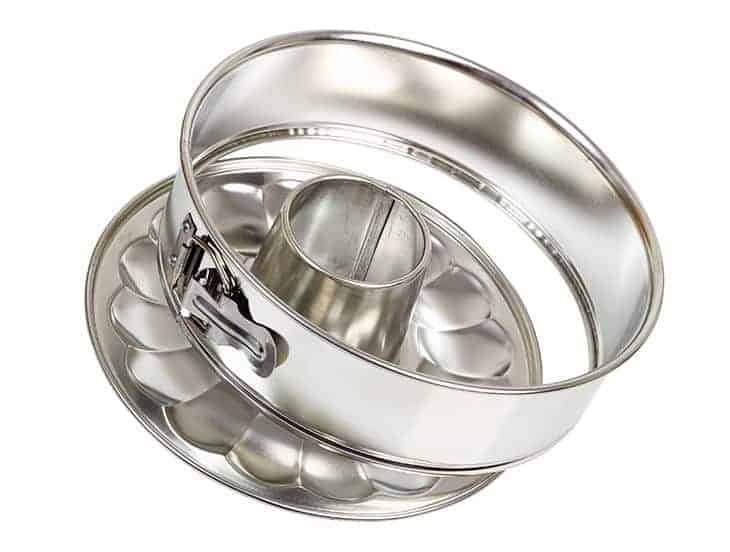 Some springform pans are equipped with smooth locking systems that makes it easy for you to release your cake and closes in on your pastry tightly. Baking already takes a lot of time. It is essential that you choose one that will require less maintenance. There are other pans that are dishwasher safe while some require hand wash and mild detergent. Non-stick coatings are generally easier to clean up. And cue the drum roll, the winner for this review roundup is the Norpro Silicone 9 Inch Springform Pan. Let’s do quick run through on why this large 9 inch pan is. First of all, its base is made of glass. Glass pans are generally better than the common metal ones since metal are more prone to scratches as compare to glass. And it’s not just made of glass, but of an attractive one that has a high-heat resistance of up to 450℉ (230℃). This means you don’t even have to worry about having to transfer it because you can already serve it in its built-in platter. Second, it is made of silicone. SIlicone pans are tighter than the common metallic ones which means it gives you an assurance of no messy leakages plus it also comes with a removable silicone ring. Moreover, since it is made of silicone, your pastry won’t stick to the surface of your pans. Lastly, you don’t have to worry that much about having to clean it up as it is dishwasher safe.